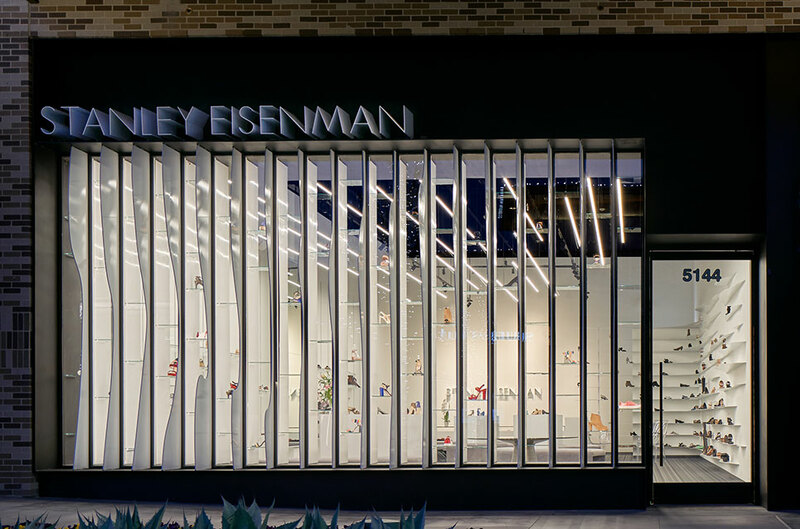 For 40 years, Stanley Eisenman Fine Shoes has been the destination for luxury brand shoes in Fort Worth, Texas. 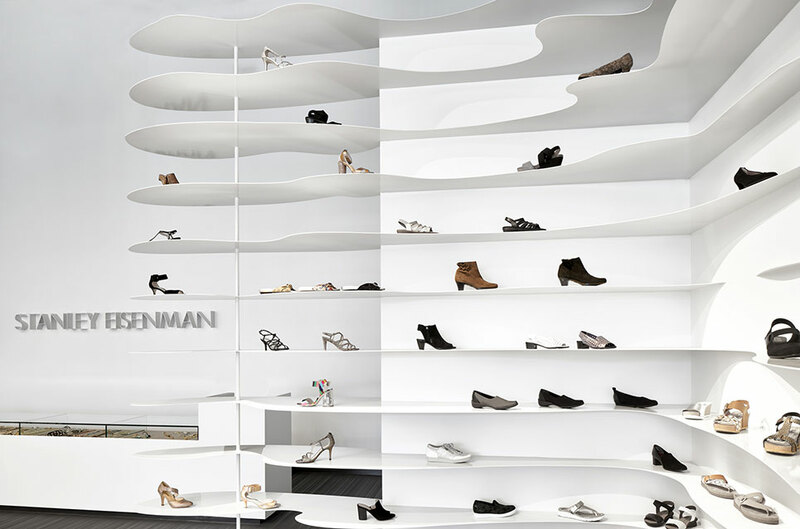 Designer Bart Shaw of Ibañez Shaw Architecture LLC was charged with reimagining the brand and to fashion a customer experience that connects to a new generation. 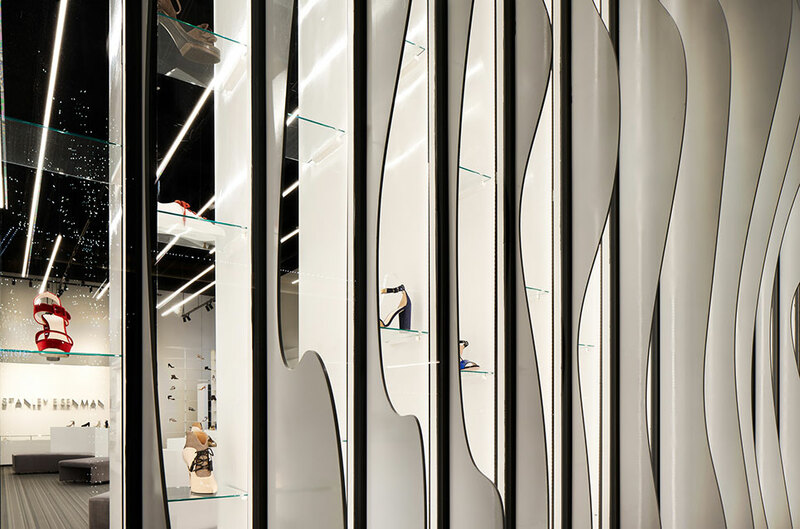 The sculptural storefront, signage, modular curved glass shelving system and furnishings were all designed and custom fabricated for the project.